Multi-color chevron pattern design. Look stylish and get those ribbons and medals on display. 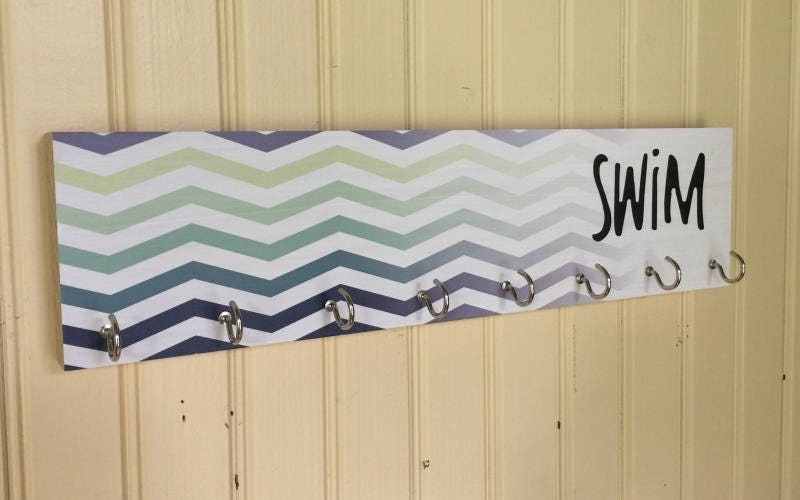 Solid pine wood sign with hooks for hanging medals, ribbons & awards.